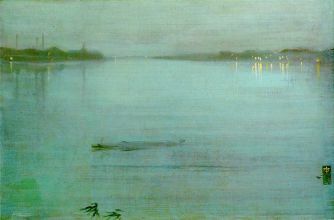 James Abbott McNeill Whistler (July 11, 1834 – July 17, 1903) was an American-born, British-based painter and etcher. 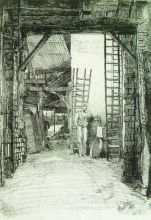 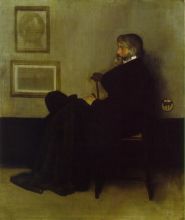 Averse to sentimentality in painting, he was a leading proponent of the credo "art for art's sake". 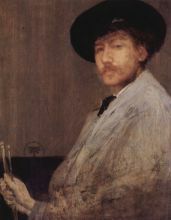 He took to signing his paintings with a stylized butterfly, possessing a long stinger for a tail. 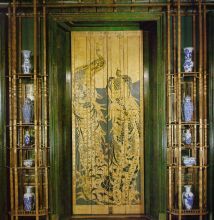 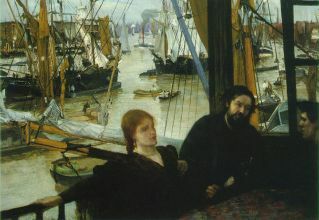 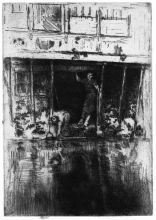 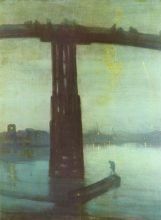 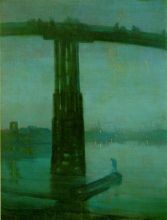 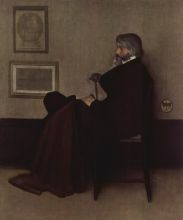 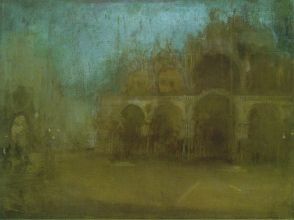 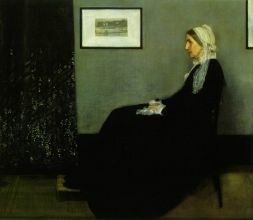 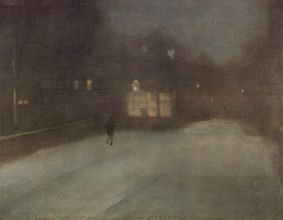 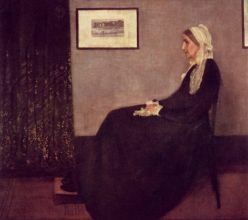 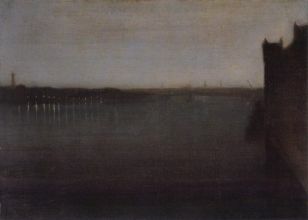 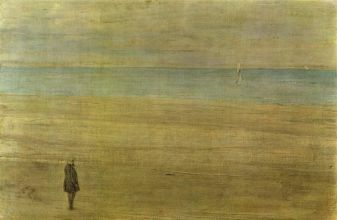 The symbol was apt, for Whistler's art was characterized by a subtle delicacy, in contrast to his combative public persona. 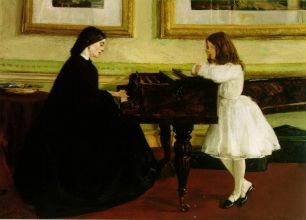 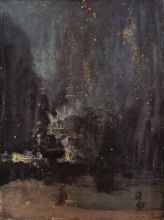 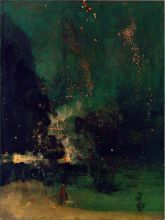 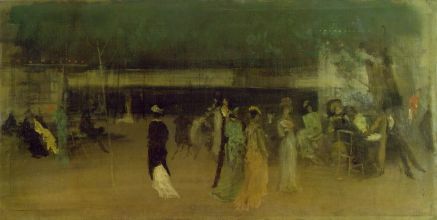 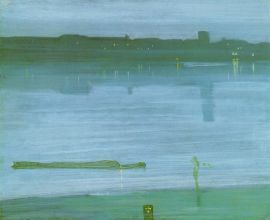 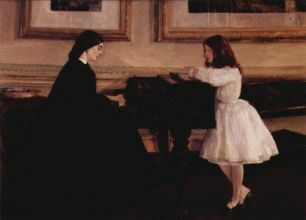 Finding a parallel between painting and music, Whistler titled many of his works 'harmonies' and 'arrangements'.